You can use Brown Basmati Rice for tasty side dishes, it’s ideal to match with chicken and salted vegetables. The Brown Basmati Rice is source of fibre and thanks to a careful processing, it keeps unchanged all its scent and its particular taste of white flowers and sandalwood. 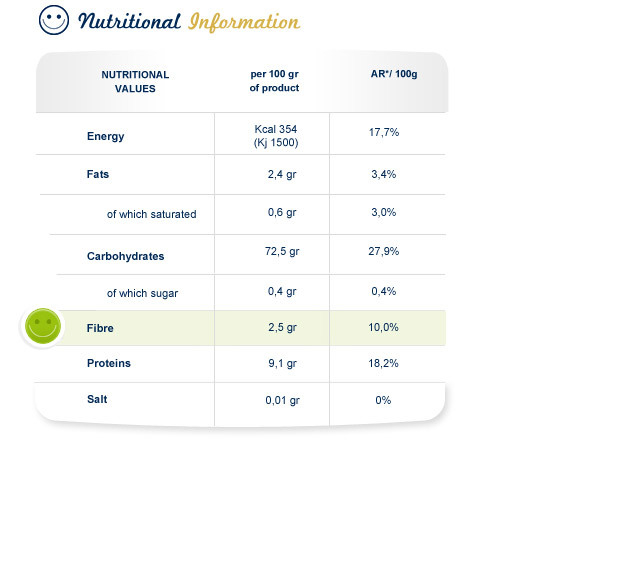 Eating 100g of Brown Basmati Rice you’ll obtain the 10% of the fibers and only 0.4% of sugars that you need in the day. NUTRITIONISTS RECOMMEND taking at least 25 g of fibres a day in order to facilitate the elimination of dross. On the contrary today we take only 10 g because we eat more refined foods and less fruits and vegetables than our parents. you should take on average between 1700 and 2000 calories a day. instead, you should take between 2000 and 2400 calories a day.